Retail is evolving and reinventing itself at an ever-faster pace: e-commerce, m-commerce, social networks and now V-commerce, centered on the use of virtual reality. As our society becomes ever more digitised, data are also becoming increasingly widespread in all sectors. More is now known about consumer trends, purchasing pathways as well as the day-to-day lives of the nation. Retail is thereby evolving and reinventing itself at an ever-faster pace: e-commerce, m-commerce, social networks and now V-commerce, centered on the use of virtual reality. A virtual reality which fosters a human and emotional dimension. With big data becoming increasingly widespread, it is now easy, or even automatic, to save and analyse them. Data represent a fantastic source of relevant information on consumers: their desires, tastes, payment preferences, experiences, etc. A wealth of accurate and intimate knowledge about consumers’ behaviour. Retailers have everything to gain by seizing on this information to improve their customer experience and optimise their points of sale (physical or virtual). Several service providers and suppliers have already made a move in this direction, offering solutions for brands and stores. For example, real time data analysis enables retailers to adjust their sales areas at any time, to replenish their stocks and assist the sales team in the store. The aim is to be able to offer consumers a unique retail experience which is fluid and free of any hitches. Axis Communications, for example, is developing a camera equipped with an IP-based people-counting system to analyse customer flow, evaluate the impact of marketing operations and product presentation strategies, all with real-time access to statistics. Retailers can see straightway the most appealing or deserted areas of their store and rearrange the shelves or promotions accordingly. Consumers want their retail experience to be more human and authentic, corresponding to their expectations. Retail is appropriating the human dimension and brands are reviewing their strategy in order to develop a new relationship built on trust and complicity with their customers. Now is the time for transparency, an invitation to discover the technical and human skills which go into manufacturing a product or service. For example, Fleury Michon is currently re-running its campaign which gives consumers a chance to see for themselves that their breeders do not use any antibiotics or GMOs. Competition winners can discover the manufacturing processes and meet producers during a trip to Brittany. Such a campaign focuses on the brand’s transparency and ethics to improve its relationship with consumers. Another example of a more human form of retail, Starbucks’ approach is based on the personalisation of drinks made unique thanks to the choice of various options and the customer’s name written on the cups. To gain consumers’ trust and arouse a positive emotion in them, brands must evolve and build a new, more conversational relationship with their customers, notably through full digital. Artificial Intelligence, via chatbots and personal assistants, can free up sales assistants, enabling them to work on creating a relationship and empathising with shoppers. 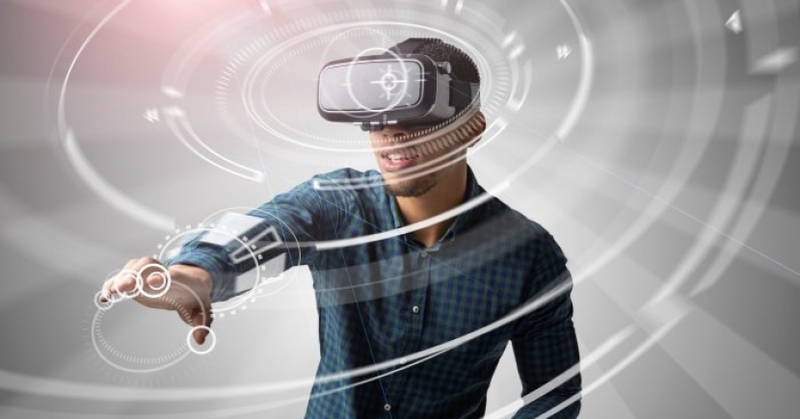 With the rapid rise of new technologies, the possibilities for brands are expanding: virtual reality, augmented reality, holograms hyper-personalisation. The Japanese brand Uniqlo is taking the approach even further with its UMood application. The tool selects T-shirts from 600 different combinations based on the consumer’s mood. A headset connected to a screen analyses the customer’s face and selects T-shirts to match their current state of mind. However, retailers need to be cautious with regard to the sometimes redundant ‘wow’ effect. Consumers are increasingly up to speed with the latest innovations and possibilities. It is therefore essential that the brands use these tools, not to create attention, but to add value to the customer experience and offer consumers a unique experience. B2B is not to be outdone. Manutan, the office supplies distance selling specialist, has just launched an augmented reality application. Approved in user tests by its customers, it enables them to pre-visualise in their working environment the chairs, desks or cupboards they are interested in buying. The retailer is also experimenting with a chatbot assistant to facilitate and fluidify the purchasing pathway. Likewise, advances in geolocation enable purchasing pathways and shoppers’ habits to be tracked. It is now possible, and even recommended, to adapt products and services to local specificities. In France, Carrefour is also using digital technology to test solutions for simplifying their customers’ lives, such as the geolocation of its products in the stores. The data produced by the consumer, used intelligently and combined with useful technological innovations, constitutes the grey matter of the 21st century. To ensure that customers are willing to share this information for hyper-personalised commercial purposes which are ultimately useful for their day-to-day lives, they must be able to choose a purchasing pathway which reflects their emotions. The challenge for brands and stores therefore lies in finding a way to exploit the personal data in a subtle, flexible and useful way in order to establish a lasting relationship of trust with the shopper. Download the expert opinion "Virtual reality as a driving force of retail"